Inspector Smart enjoyed having a tough case to solve, but this one was really puzzling. Jesus had been killed and his body put in a cave. Everyone agreed on that. There was a huge stone across the door, and armed guards outside. But even so - the body was missing! 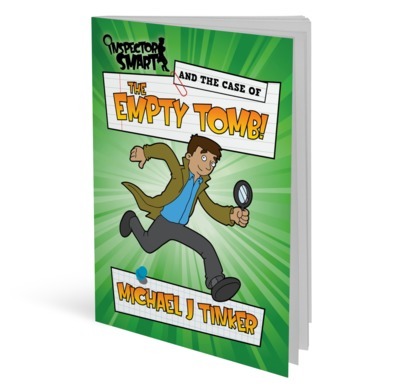 Join Inspector Smart as he gets into his super-duper police chariot to investigate the Case of the Empty Tomb. This book is a full-colour illustrated story book for 4 - 7 year olds. Also available for 8 - 11s is the Case File and for all ages The Rock Went a Rolling 10 rocking songs about Jesus.